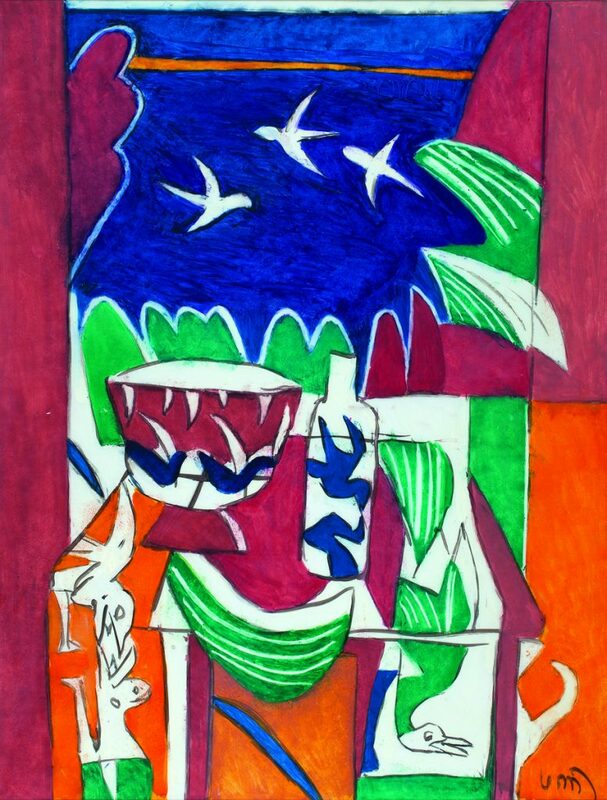 K. G. Subramanyan studied art in Madras and joined Kala Bhavana, Santiniketan, in 1944, where he trained under Nandalal Bose. 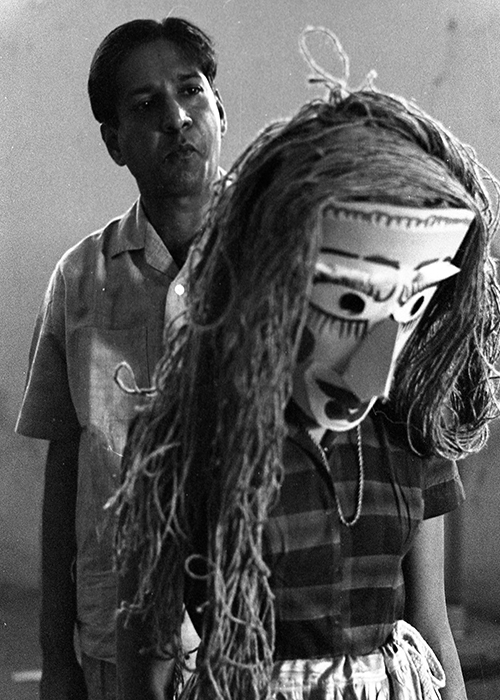 He then taught at Faculty of Fine Arts, M. S. University, Baroda, and later at Santiniketan. 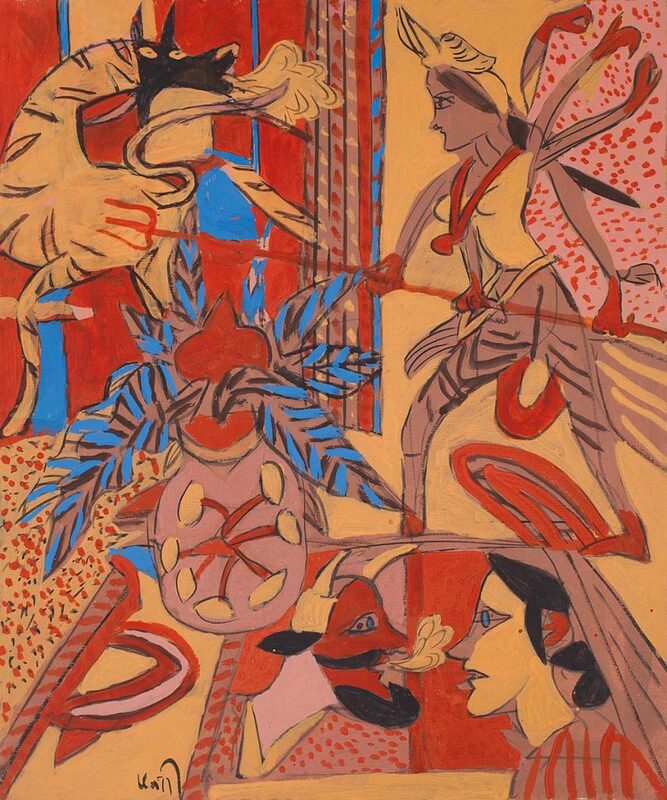 Compared to what the Progressives were doing, Subramanyan attempted to create a different kind of modern Indian art, drawing on myths, fables and traditional narratives in a variety of mediums. 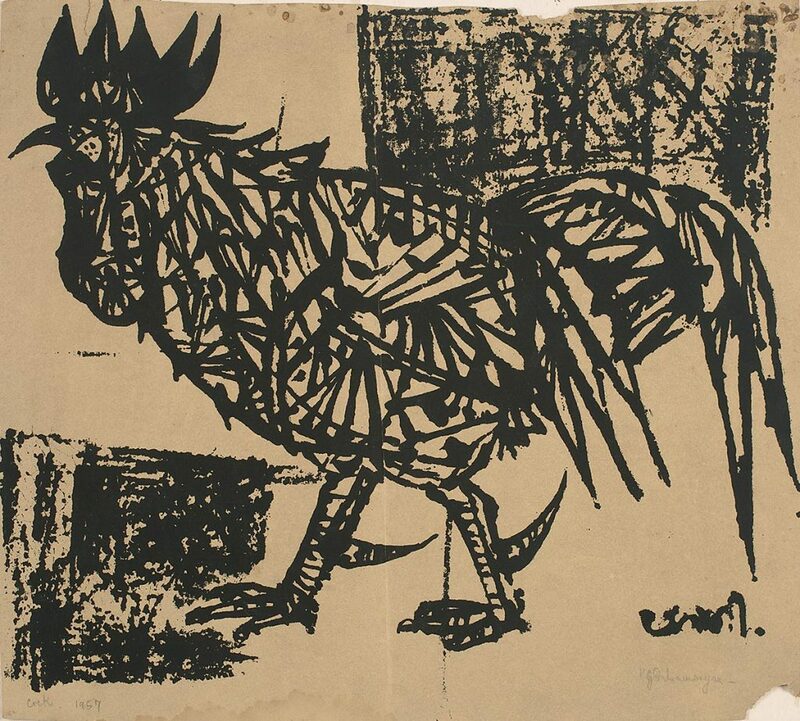 He painted women, children, objects and animals before a period of exclusively painting still-lifes in the Sixties. 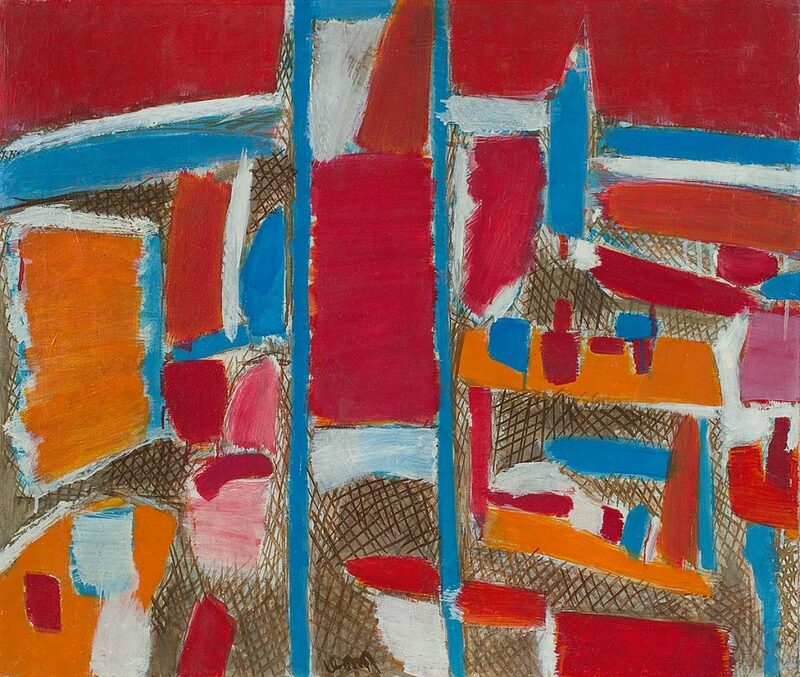 His paintings became a study of objects as forms, with bright colours and abstract shapes until the shift to the Terrace series in the Seventies. 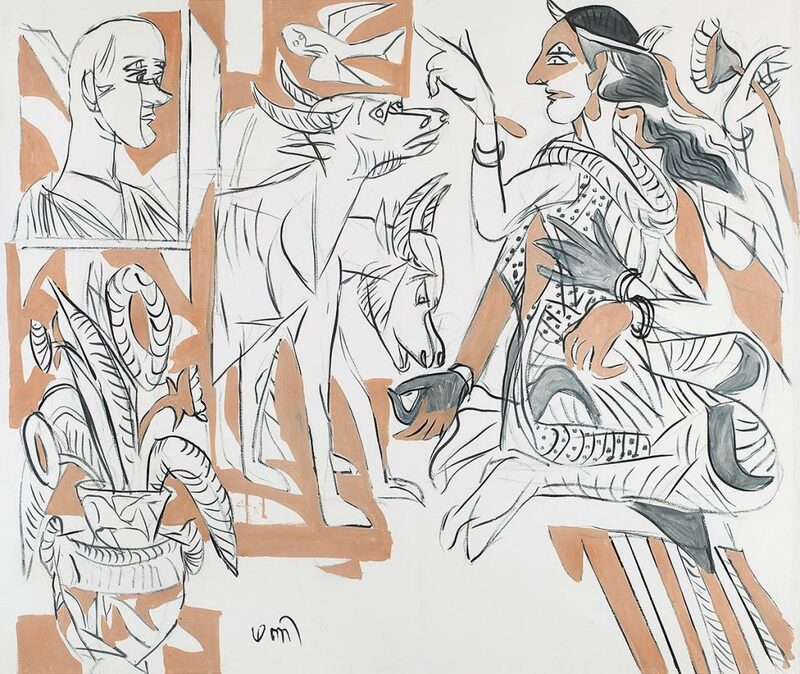 Subramanyan’s prominent black line recalls Pablo Picasso and F. N. Souza, but only serves, in his case, to differentiate his figures from the surface of the work, the volume from the plane. 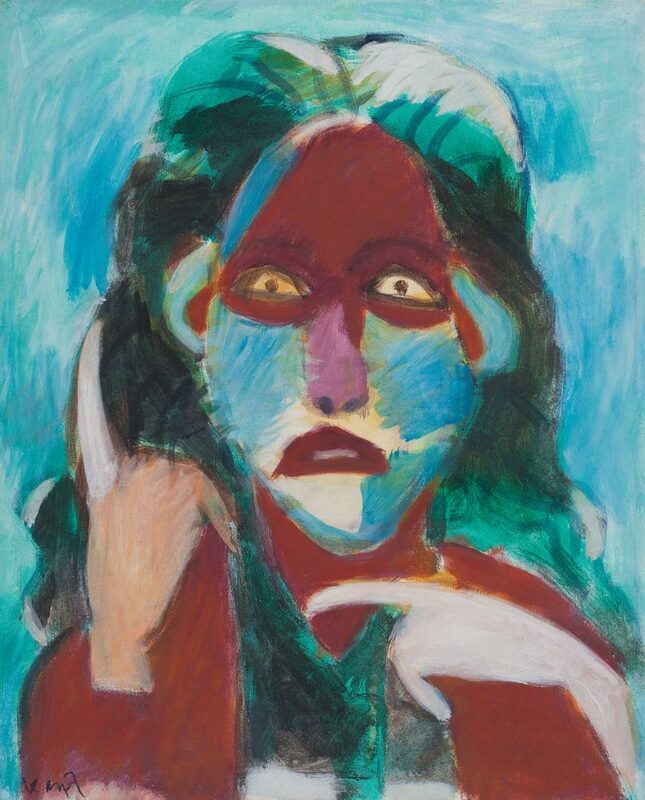 Known for the sensuality of his imagery and figures, the nightly backdrops and the reflective faces, Subramanyan’s paintings reveal a continued cubist influence. A revered teacher and theoretician, Subramanyan is a well-known fiction writer and poet and has written extensively on art. He lives and works in Baroda.